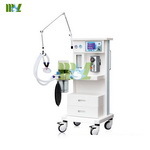 Our veterinary anesthesia equipment includes animal oxygen masks, veterinary anesthesia machine, veterinary anesthesia ventilator, etc. 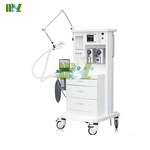 You could also find other veterinary medical equipment, such as Veterinary x-ray machine, veterinary ultrasound scanner, veterinary ventilator, veterinary operation table, veterinary analyzer, veterinary cage, veterinary ECG, veterinary patient monitor. 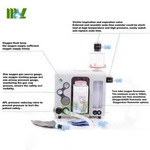 standard configuration a Vaporizer,A total of four options(halothane,sevoflurane,isoflurane and enflurane),have oxygen flowmeter or oxgyen N2O flowmeter to choose.no need air.